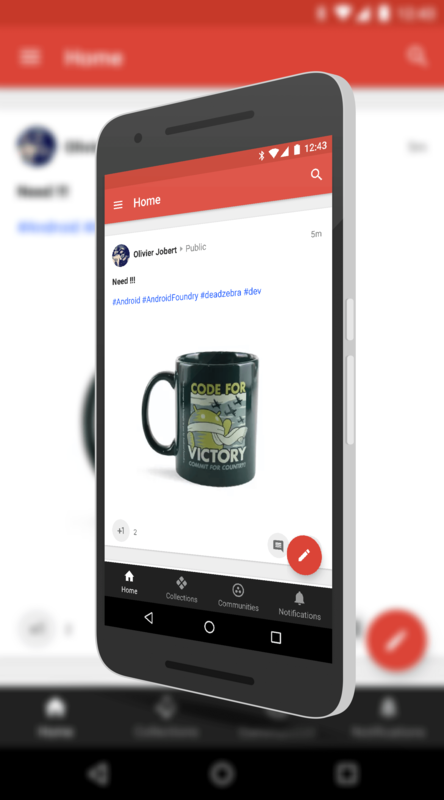 A couple of weeks ago, a new feature rolled out in Google Plus (G+) that allowed you to leave images in comments on posts. This was very well received by users on the social platform as it gave a bit more of a personalized response to something (with an image or a GIF) instead of just text. Now the Google Plus team has expanded that a bit further. In the latest update, version 8.7 for those keeping score at home, you can now view those images in the replies in full screen and yes, you can save them to your phone to add to that awesome meme or GIF library. In other words, the images in comments are treated and act like images in an original post on the site. update mind you but it is an important one for those who want to see that GIF in full screen and save it themselves. Outside of this change in how comment images are handled, there isn’t much new to report in this update. There is the normal smattering of bug fixes and improvements so even if you don’t care about the new image handling, it’ll be worth the download. The updated version is rolling out in the Google Play Store now and an OTA for it should be hitting devices over the course of the next few days.